In the fall of 2010 as the Academy approached its 65th anniversary year, Sacred Heart marked another milestone in its long-standing tradition of excellence. In order to further the outstanding mission, the school adopted the President-Principal model. This concept was implemented based on suggestions of the NEASC (New England Association of Schools and Colleges) and ISM (Independent School Management) studies as well as input from faculty, staff and advisory board members. In this model, the president and principal collaborate to further the mission and continue to move the Academy forward. As president, Sr. Sheila is responsible for the vision of the school, as well as the overall management of the institution, specifically financial, development and board related functions. While Sr. Sheila’s obligations concern the external operations of the Academy, Sr. Kathleen Mary is responsible for the day-to-day operations of the school and overseeing the faculty and students. A native of New Haven, Sr. Sheila graduated from Sacred Heart Academy in 1971. She entered the congregation of the Apostles of the Sacred Heart of Jesus and professed perpetual vows in 1979. Sr. Sheila earned a B.A. in math from Albertus Magnus College in New Haven, a M.A. in theology from Fordham in New York and a M.A. in Educational Leadership from St. Louis University in Missouri, and in 2005, a Ph.D. in Educational Leadership from St. Louis University. Sr. Sheila taught math and religion at Sacred Heart Private School, New York and Cor Jesu Academy before serving as principal of Cor Jesu Academy, our sister school, for 16 years. Before being named president of Sacred Heart Academy, Sr. Sheila served for three years as Head of Mission Advancement for the U. S. Province of the Apostles of the Sacred Heart. Sr. Sheila’s commitment to educational excellence, her enthusiastic support of students, faculty, staff and parents and her deep loyalty to her alma mater have made her the ideal choice as the Sacred Heart’s first president. 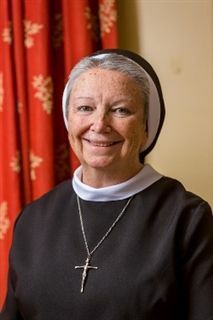 Sr. Kathleen Mary is also a native of Connecticut and a graduate of the Academy, and has been named the new principal for the 2016-2017 school year. Sister entered the Apostles of the Sacred Heart of Jesus after her high school graduation and professed final vows in 1984. She holds a Bachelor of Science degree in education from Duquesne University and a Master of Arts in administration and supervision from Manhattan College. 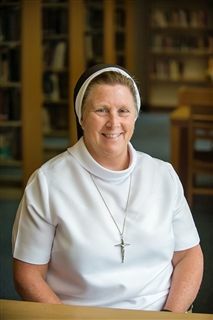 Sr. Kathleen Mary begins her ministry as principal of Sacred Heart Academy with 36 years of experience in education, both as teacher and administrator. She has taught on the elementary and secondary levels and served as assistant principal at Sacred Heart Academy from 2002-2006. Sr. Kathleen returns to us from our sister school, Cor Jesu Academy in St. Louis, where she has served as principal for the last 10 years.